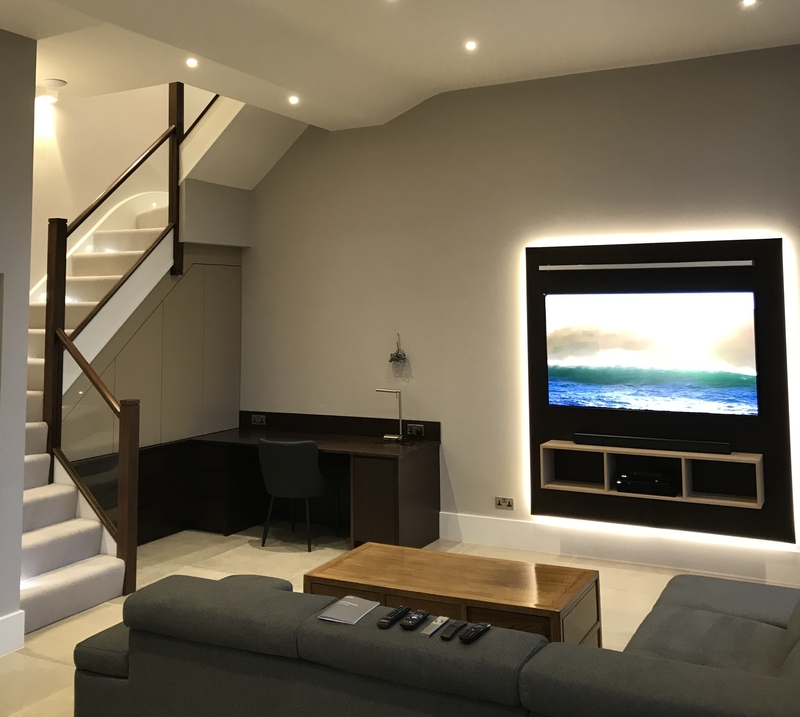 Another simple yet satisfying job for us. 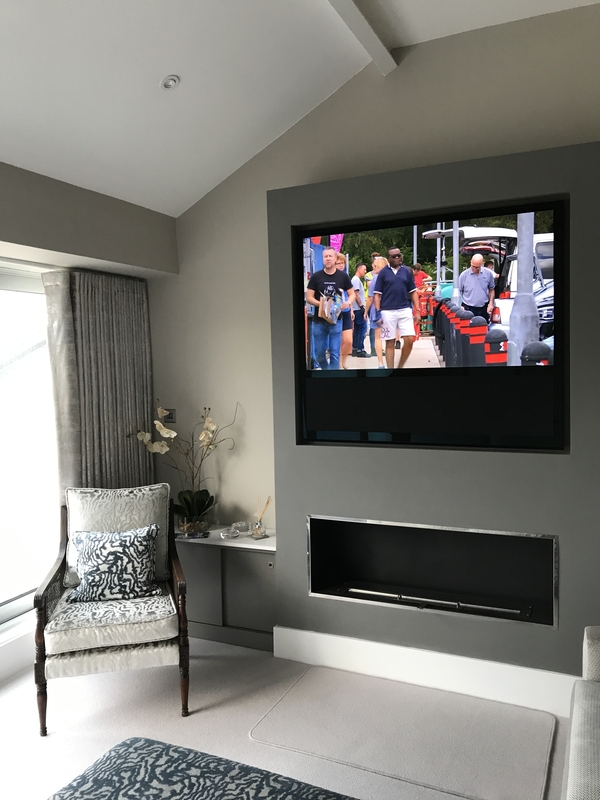 We were asked to fit a Samsung 65″ with soundbar. and discretely connect a skyQ mini and 4k Bluray. 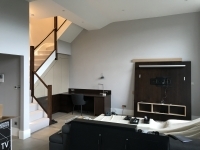 the purpose built unit would create a very modern stylish end result. 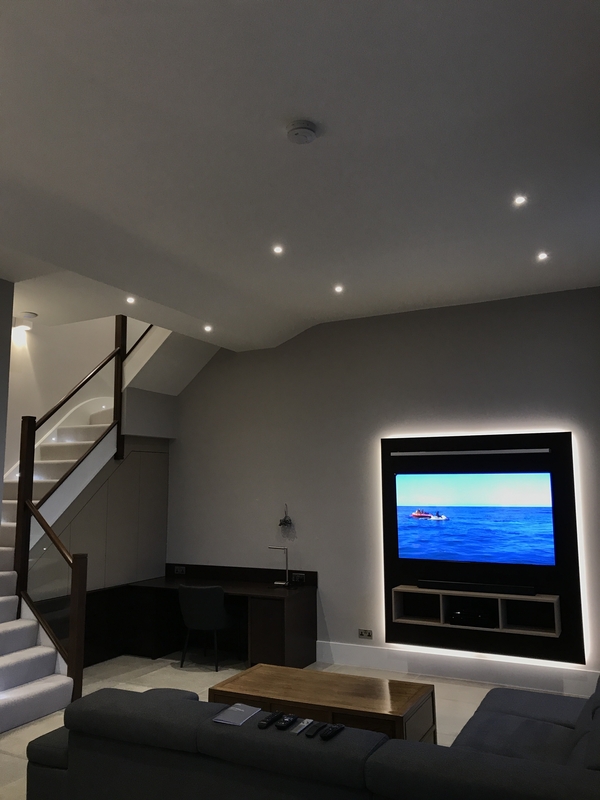 This was quite a simple install but the with the property being of such high standard we were very cautious with placement and measurements in order to keep to that standard. 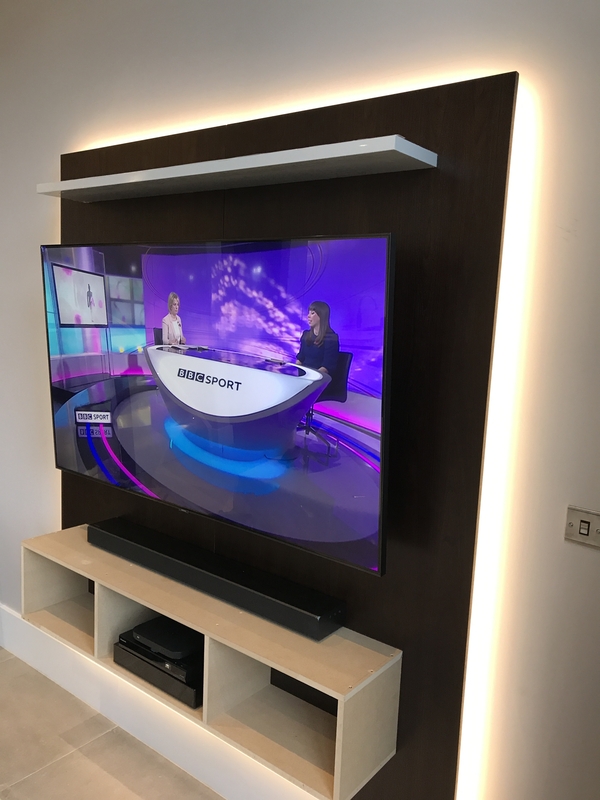 Our articulated bracket would be mounted on the bespoke made media wall created specifically for the purpose and all the equipment was tiered in the middle shelf below the unit. We chose not to mount the soundbar but to have if on a shelf below the TV. 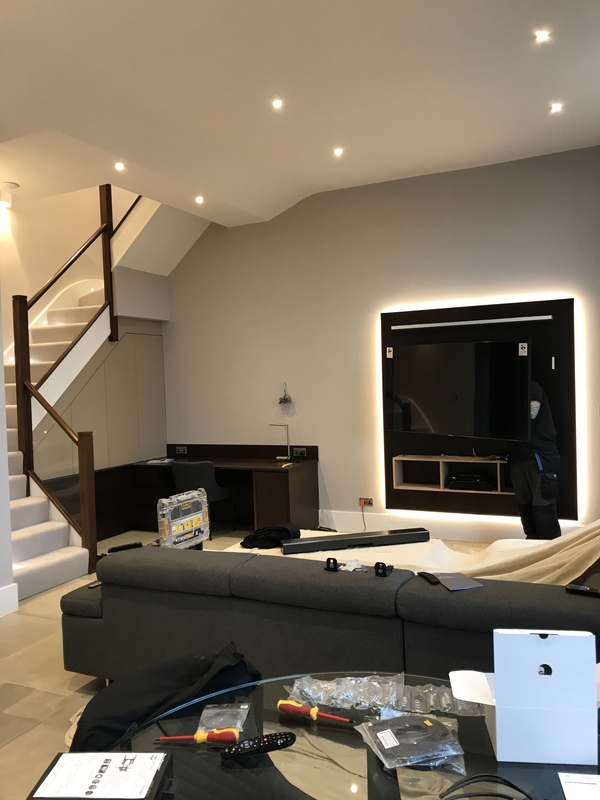 Once all the equipment was mounted and cabled all was left to do was configure the TV and connect the SkyQ mini to the Silver box.